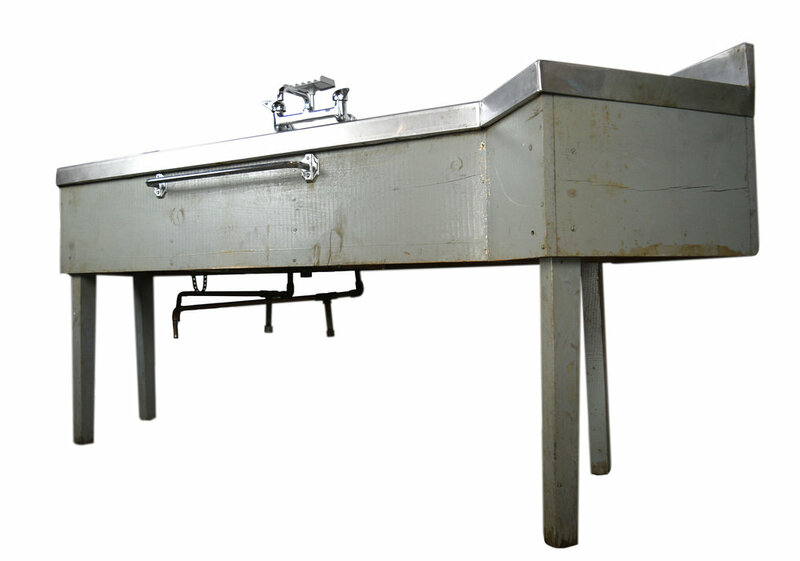 This stainless steel industrial prep sink features ample counter space and unique geometry. The grooved ridges found atop the counter act as a drain. Be sure to include the Product ID AA#48176 when making your offer.